Original acrylic painting on gallery wrapped canvas. Framed & ready to hang. 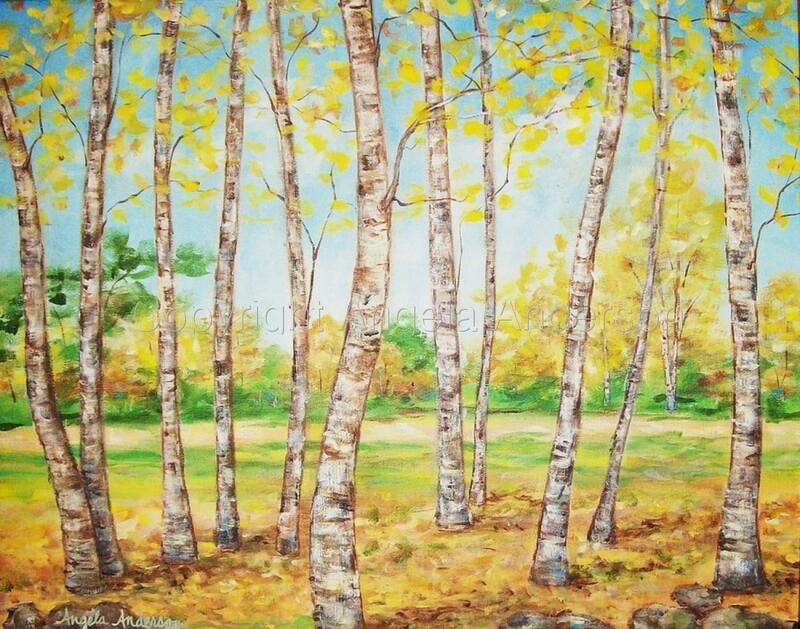 Beautiful autumn aspen trees with white bark and yellow leaves. 5" x 6.375"7" x 8.875"8" x 10.125"9" x 11.5"10" x 12.75"